At long last we’re proud to present our very first video review. 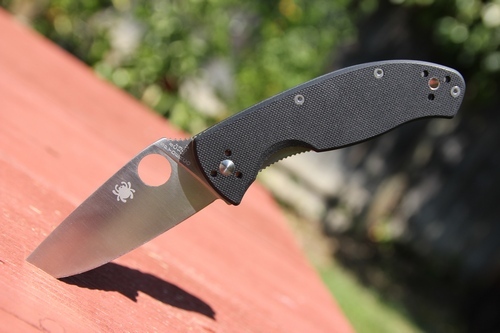 In this one we’re taking a look at the popular Spyderco Tenacious. 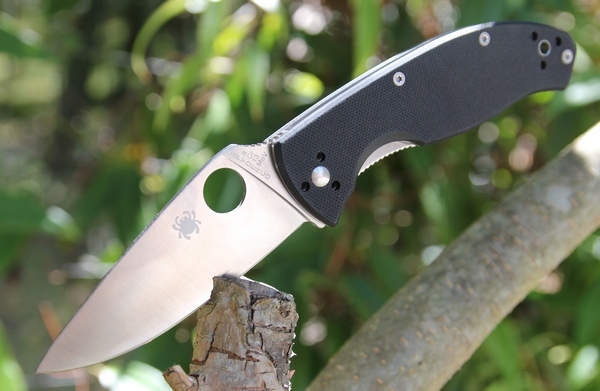 The Tenacious is a relatively inexpensive offering from Spyderco that has caught the attention of the knife community since it’s original release. The Spyderco Tenacious pocket knife has a total length of 7 3/4 inches when fully opened and measures around 4 1/2 inches when closed. It carries a modified drop point blade measuring approximately 3 3/8 inches long manufactured in China from 8Cr13MoV stainless steel. So, does it live up to the hype? Read on…. One of the best low budget EDC knives on the market today. Bravo Spyderco. Pros: Extremely affordable. Great balance. Nice G-10 handles. Excellent quality at this price point. Cons: Blade steel a little soft. Minor amount of side blade play. Bottom-Line: Simply one of the best budget EDC knives you can buy.